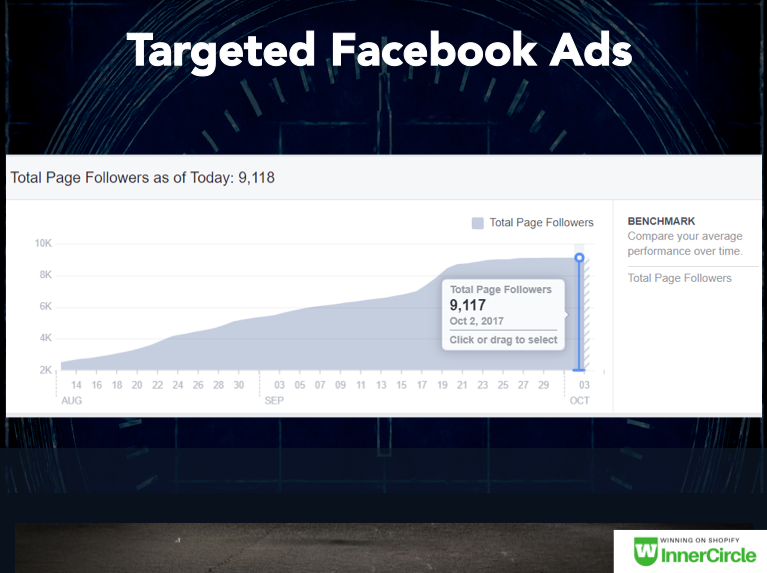 Welcome: We're happy to have you watch our in-depth conversation with Inner Circle member Patrick Meyer as he describes his recent social contests strategy that added 15,000 targeted leads in just 5 weeks - and helped him launch a 1.2 Million dollar Kickstarter campaign! This social contests strategy blueprint works and we'd encourage you to try it today. 6:01 - What Is A Social Contest and how is it different than a skills-based contest and an illegal lottery? 7:13 - The Basic Social Contests Blueprint. Three steps to successfully use social contests to generate e-commerce sales. 10:55 - How Patrick Meyer Generated 15,000 Email Addresses and 9,000 Facebook followers in 5 weeks. 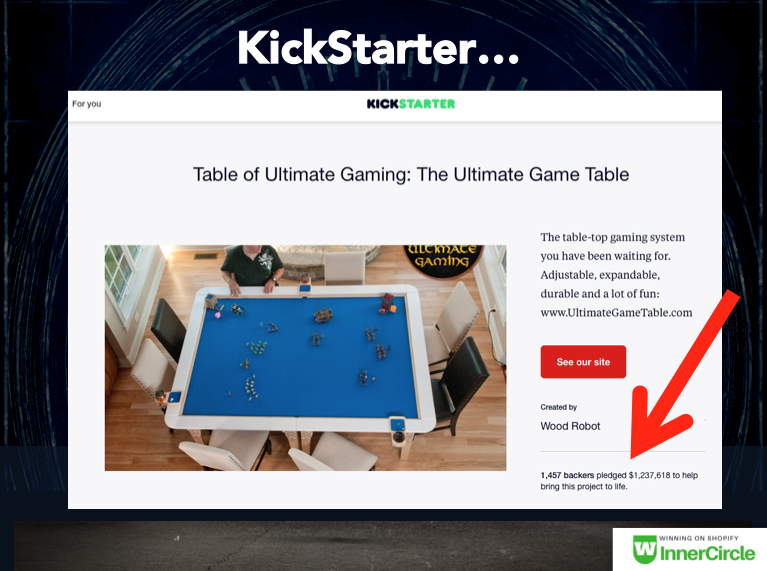 An Introduction To Patrick Meyer and his The Table Of Ultimate Gaming contest strategy. 12:42 - How He Used Facebook to generate initial engagement with his social contest. 25:49 The Two Types Of Contests Patrick Used and the goal for each one. 32:02 The First Social Contest Tool Patrick Used and how he used it. 33:34 The Second Social Contest Tool Patrick Used and how he used it. 39:26 - The Kickstarter Goal and how Patrick chose that number. 39:52 - The Total Marketing Costs of Patrick's campaign as a percentage of sales. 40:59 - Patrick's Encouragement For All Of Us. What to do to get this to work properly. 42:37 - The Outcome Of The Kickstarter Campaign & Next Steps for Patrick's product. 45:30 - Question One: Is it best to discount the products to contest participants? How exactly did you use the social contest entrants to help launch your Kickstarter campaign? 48:27 - Question Two: If you had to do the social contests over again, would you have done it differently? 49:28 - Question Three: How did you choose the winners for the contest? 50:10 - Question Four: Do you have any of the Tables Of Ultimate Gaming out in the hands of customers yet? 51:05 - Question Five: What was the biggest frustration point as you set up your social contests? 54:10 - Question Six: What's your Shopify strategy? 57:20 - Question Seven: Does a social contest strategy work on a lower priced item? Or is this just a strategy for high ticket items? 60:48 - Why join our Inner Circle Program. Jump into our Inner Circle program and start connecting with top e-commerce sellers like Patrick! You'll also receive the entire Social Contests For E-commerce training as a free gift when it is launched later this month! Plus a large collection of fantastic courses! 63:50 - Final Question: What percentage of social contest participants ended up purchasing your product?